In these years, there are some significant changes in IFRS, such as IFRS 15 – Revenue from contracts with customers, IFRS 16 –leases and etc. They all have impacts on the Chinese market. The PRC GAAP has some subject changes to follow up with IFRS. CAS 42-Non-current assets or disposal groups held for sale and discontinued operations sets out the requirements relating to the classification, measurement and presentation of existing non-current assets or disposal groups held for sale and the presentation of discontinued operations as of 28 May 2017, and requires applying the related accounting policies prospectively. After the adoption of CAS 42, the Group has revised the presentation of the financial statements, including the separate presentation of profit or loss from continuing operations and discontinued operations in the consolidated income statement and company income statement. Pursuant to CAS 16 –Government grants, the accounting treatment of the government grant is changed from only gross method to allowing net method. The amortization method of deferred income related to government grant is changed from average useful life amortization method to a reasonable and systematic amortization method and the presentation item of the government grant is changed from non-operation income to other income. Pursuant to Caikuai  No.30-notice related to revising the financial statements format for general enterprises,”gains from assets disposals” is added in the income statement to reflect the gain or loss on the sale of non-current assets (not including financial instruments, long-term equity investment and investment properties) or disposal groups that are classified as held for sale; gain or loss from disposal of fixed assets, construction in progress, productive biological assets and intangible assets that are not classified as held for sale; gain or loss from disposal of non-current assets in debt restructuring; and gain or loss from exchange of non-monetary assets. 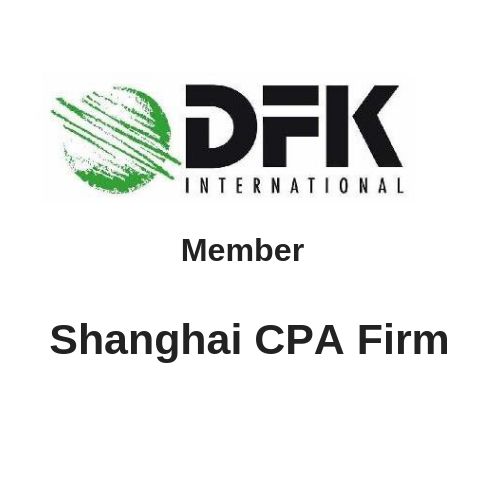 To catch up with the rapid changes in Chinese market, our firm has helped a lot of clients clearly understand the changes on the new accounting principles and adapt them to their accounting systems. We have also helped clients who need to prepare for Excel package fix and update the bridges. In addition, not only does our firm help assure compliance with applicable reporting standards, there are important additional value aspects of the audit process, such as the identification of internal management issues and insights that can help you address both present and future challenges. That’s because our firm approaches you with a deep and broad understanding of your business, the industry in which you operate, and the latest regulatory standards. We consider the risks your company faces, the way management controls these risks and the transparency of your company’s reporting to stakeholders.